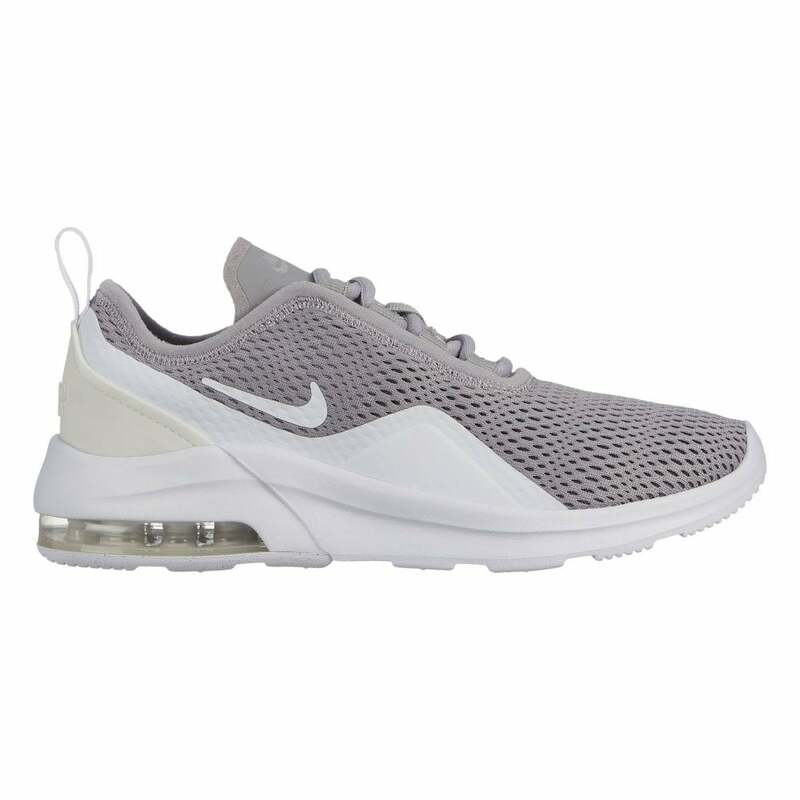 These lace-up Nike Air Max Motion 2 Trainers have a textile mesh upper with synthetic overlays and are grey in colour. They have a textile, padded lining and feature a transparent Air Max heel section. They features a white overlay in the sides and a large heel cap for added support and durability. The white sole is thick with a deep non scuff rubber tread for excellent grip. Nike branding appears on the sides, tongue and sole with additional Air branding on the heel.